Victory Baptist Church is located at 421 SE Main Street, but our building is hidden from the street. 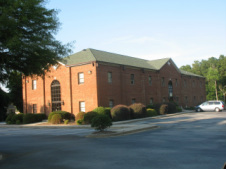 That's because our church building is located in the rear section of Chancellor's the Commons office park. << Look for this sign at 419 SE Main St.
We are located almost directly across from Auto Zone, with their big red-lettered sign that you can't miss. The church building is handicapped accessible. There is a large ramp area on one side of the building, and plenty of wide space parking. A door into the church is just inside the large lobby area. We also have personal amplifiers for the hearing impaired. Use "View on Google Maps" for all map features, including Street View. 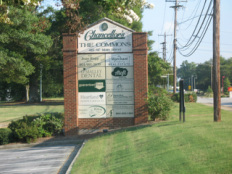 Located in Chancellor's the Commons office park, across from the Auto Zone.